We offer widest range of Bio-metrics authentication and RFID wifi solution products .Authentication by biometric verification many ways to identify human scan fingerprint, Vice-Face recognition, eye & IRIS scans, fingerprint recognition, hand or palm geometry etc. 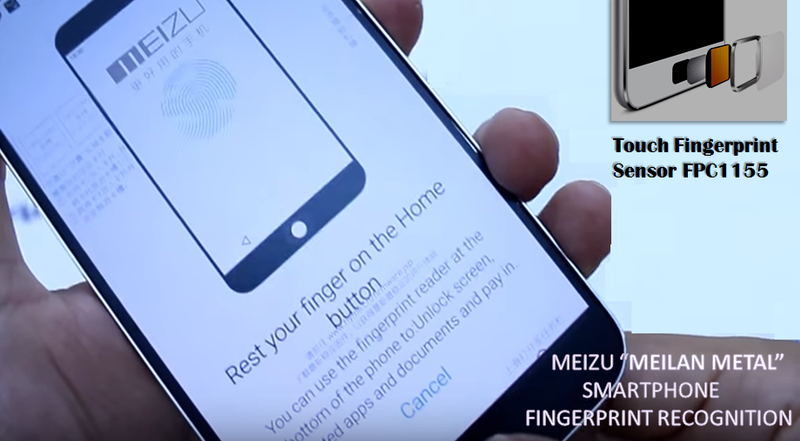 There's another announcement of Meizu will be unveiling the new Android device "Meilan Metal" with touch Fingerprint Sensor FPC1155. After the great success of Meizu’s with fingerprint sensor features FPC1155 in MX5 and Pro 5 Smartphone, which launched at the previous year. Now Meizu, a Chinese OEM, is a returning customer, having recently selected an FPC1155 sensor into its new version “Meilan Metal smartphone”. To Know more about FPC fingerprint Sensor,please visit at www.ashtopustech.com. FPC1025 embedded in new Smartphone & tablets.